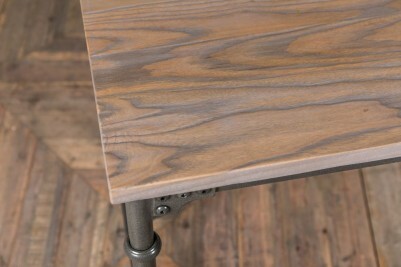 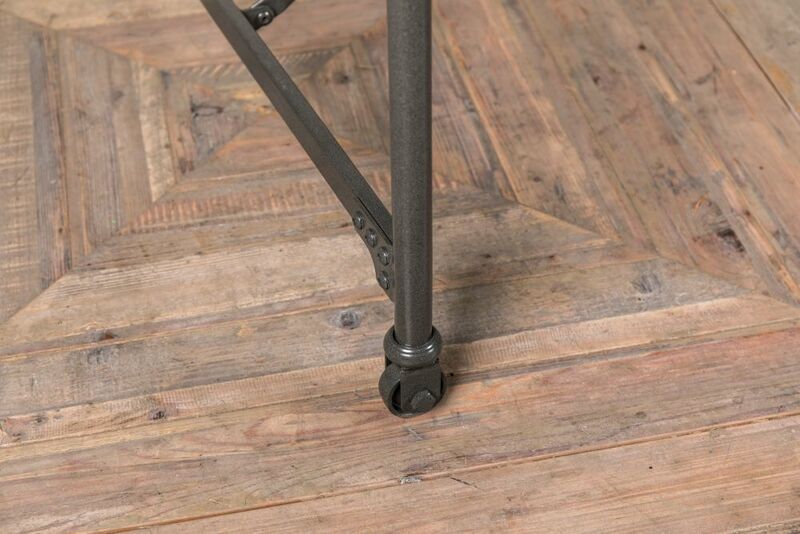 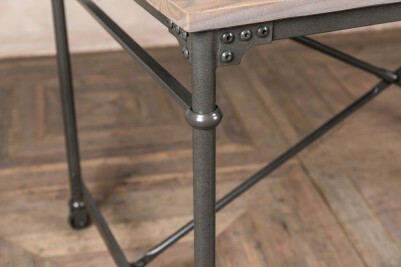 This metal pipe table is new to our collection of industrial inspired bar and restaurant furniture. 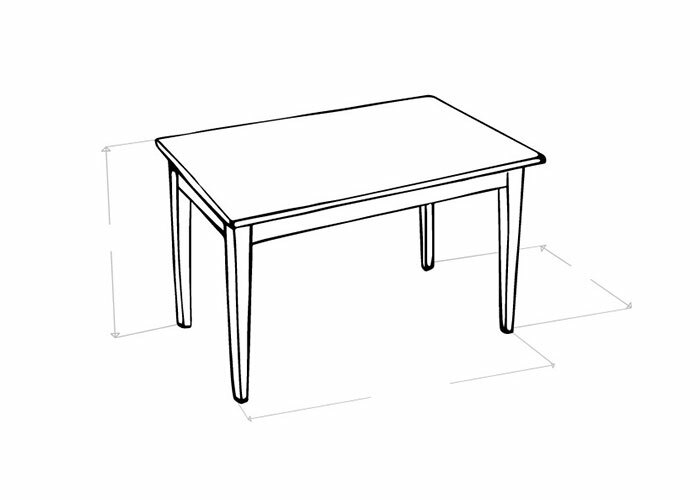 The table can be purchased in three sizes: 80x80cm, 120x80cm or 160x80cm, to best suit your space. 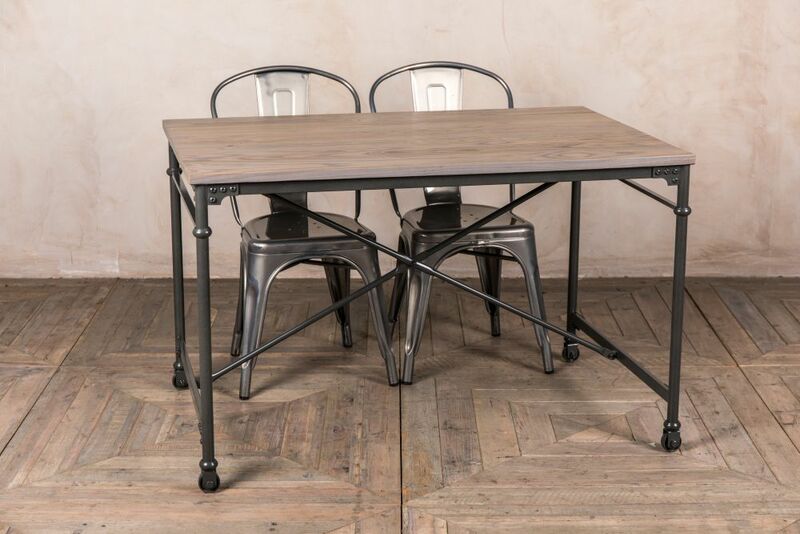 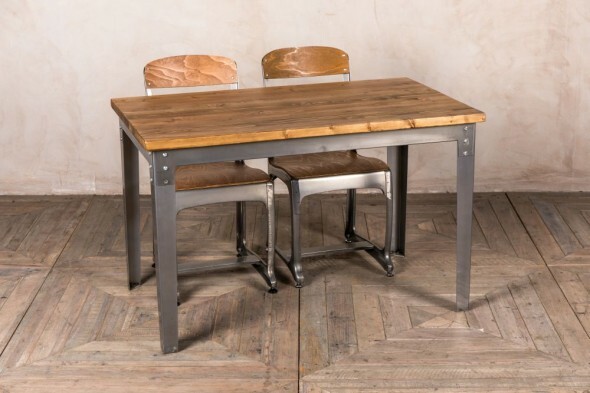 Purchase one table for an industrial themed kitchen or small dining room or purchase a selection of tables to furnish a cafe, restaurant or bar area. 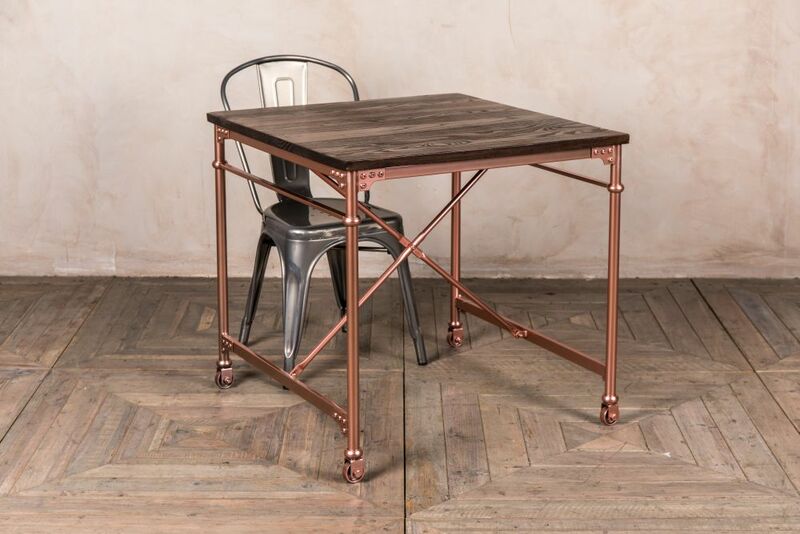 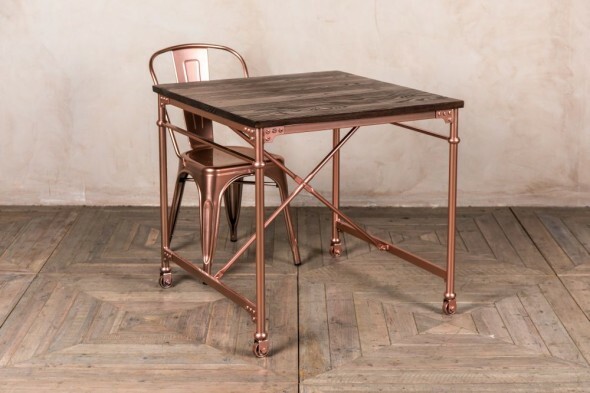 We also have a copper version of this table with a slightly darker top. 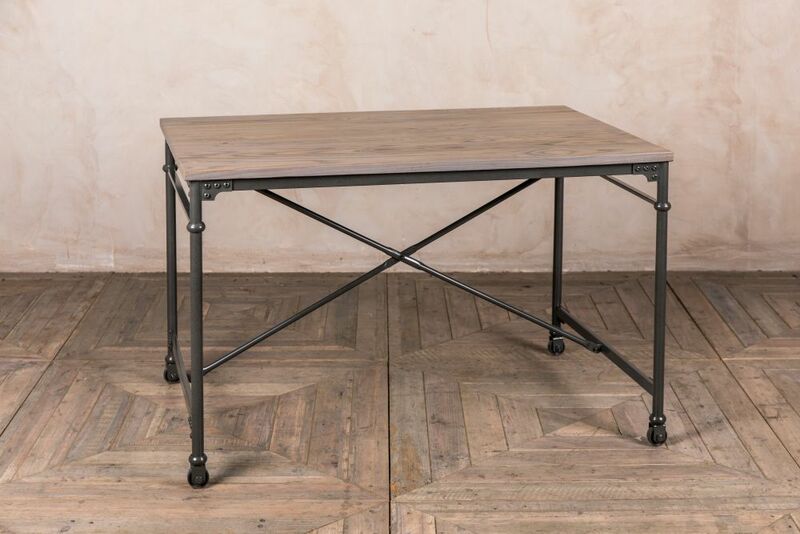 This table has a timber top with a light grey washed appearance and features a grey pipe base. 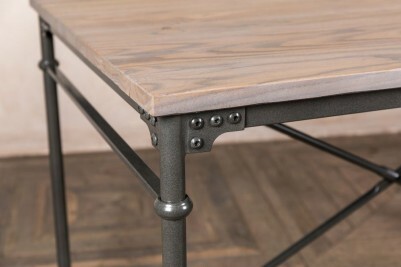 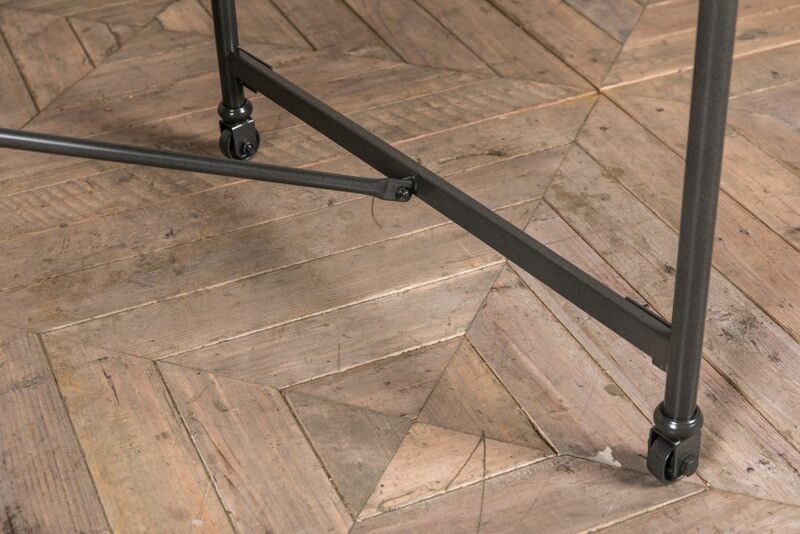 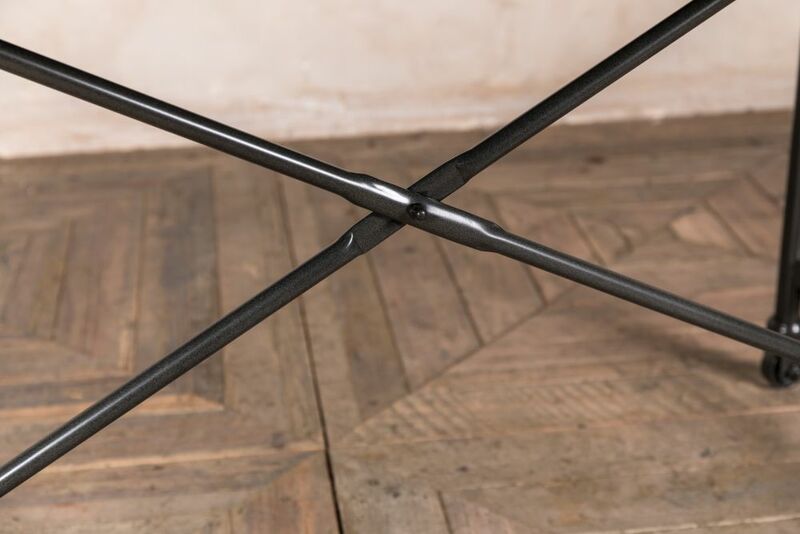 Cross-stretchers to the underneath add to the industrial appearance of the table, while also adding stability. 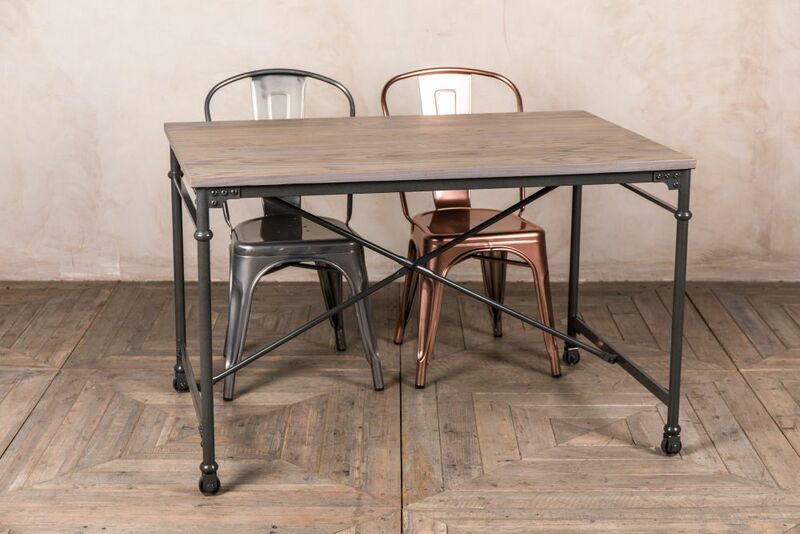 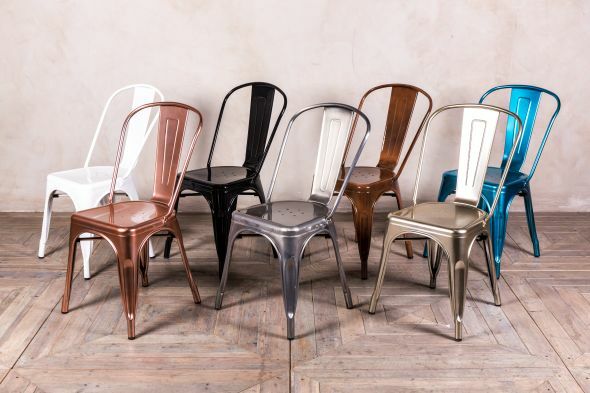 Here, we have pictured the tables with our gunmetal and bright copper Tolix style dining chairs, which can be purchased separately. 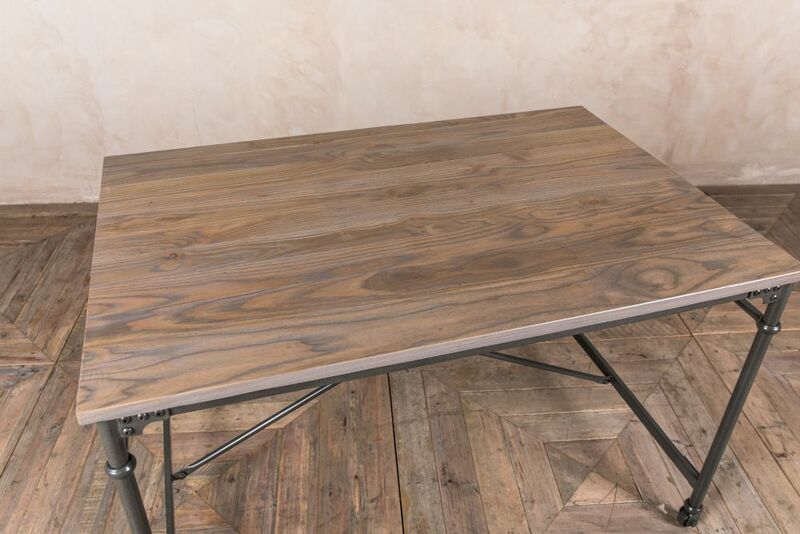 The table would suit a variety of spaces, and it could also be used as a dressing room table or simple desk in a home office. 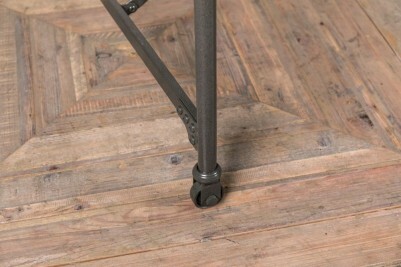 Please note the wheels are for decorative purposes only. The 120x80cm metal pipe table is pictured here; the pictures shown are for illustrative purposes only.